Sharp-aX is based in Berkhamsted, Hertfordshire, employing local people in modern large airy offices with excellent access to the M1 and M25. 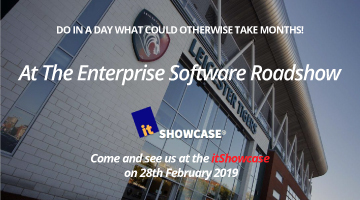 We’re uniquely positioned in the ERP software development market to offer a powerful combination of modern approaches to software combined with a tradition of expertise in delivering support to B2B SME’s in the wholesale and distribution industries. Our primary product is a powerful ERP system featuring integrated accounting stock control software & website systems for trading companies. 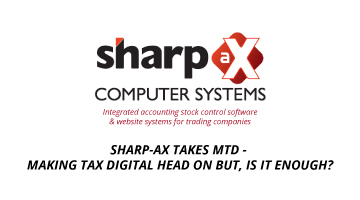 Switching to the Sharp-aX software provides an excellent opportunity to re-examine what good software can do to enhance your turnover and business processing efficiency. With 10 years intense development behind the software, we offer unparalleled flexibility to adapt to changing conditions. You will be able to tailor the Sharp-aX software to track and improve the flow of information across your business to save time and money in your day to day operations. Your staff will have the information needed to work effectively with no more bottlenecks of “only Fred knows about that and they’re out today”. Improve your customer service instantly by making all staff as knowledgeable as your best. Changing business conditions due to economic uncertainty or new opportunities opening up? 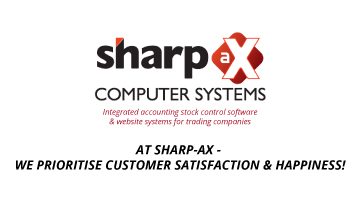 Sharp-ax continues to evolve with your business and does so at a far lower cost than a traditional bespoke system. 9 years of development of our fully integrated Sharp-aX website software ensures that web orders are paid and processed 24/7 seamlessly into the Sharp-aX system. Our web team works closely with our customers to ensure that new features written and their specific market place is recognised. As the site ties directly into our ERP solution, it ensures that you only have to key data once, rather than multiple times, reducing the time and effort needed to maintain your website information. Originally established as Ramtac Computer Systems, we sold the Ramtac Company to Intact Ireland in May 2016. As Ramtac, we initially sold the Intact VLine ERP product, and later on the Intact IQ product, very successfully throughout the UK. In 2008 we wrote and developed the Sharp-aX ERP software and introduced this to our first client site, Connect Electrical in 2010. The success of the Sharp-aX product continued, and the number of people employed working on the product grew and grew, until in 2016, the sale of the Intact users contracts was made back to the original software company, Intact. The sale of Ramtac and the Intact product user contracts enabled us – not only to retain our hugely experienced teams of developers, trainers, support analysts and salespeople – but to re-focus the company and invest more heavily in our own Windows based Sharp-aX software & integrated Web solutions. We believe that we are the only UK Company which has written new ERP software in the past decade. We take pride in our customers’ successful use of our products and our warm and loyal relationships with them, and since splitting we’ve seen significant improvements in our responsiveness and levels of customer service and introduced new features at a faster rate than was previously possible.